Need a scooter you can take with you when you travel? This is the scooter for you! 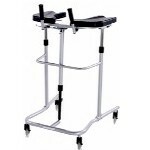 This mobile scooter comes in four compact and manageable pieces that allow easy assembly and disassembly. 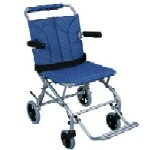 You will be able to travel at a top speed of 4 mph and cruise for up to 15 miles on one battery. An optional, second, stackable battery for increased range is available. The battery removes easily from the wireless battery box and can be charged separately from the scooter. A battery charger is, of course, included. This mobile scooter is small enough to be used indoors as well as outdoors. It comes equipped with a headlight for evening scootering outdoors or indoors should the power go off. An important feature that can be often overlooked is seat height adjustability which is built into this scooter. 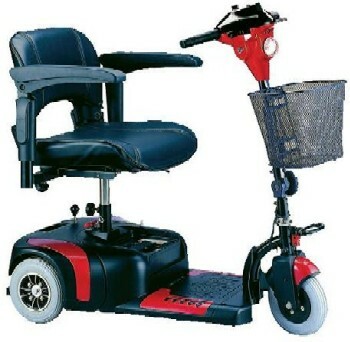 An upgraded seat with flip back, adjustable width arms makes this an easy scooter to climb on board and to get off as well. Flat free tires and anti-tippers which prevent the scooter from tipping over are standard as well as a scooter basket that fits onto the front of the handle bar post..
A motorized chair that will carry you up and down the stairs! 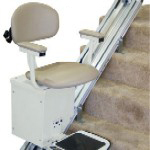 The moving chair rides up an down on a narrow track which is attached directly to the steps.